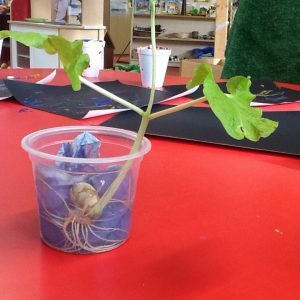 We planted a beanstalk before half term to link in with our story ‘Jack and the Beanstalk.’ When we came back to school we were very surprised and excited to see that our beanstalk has grown! 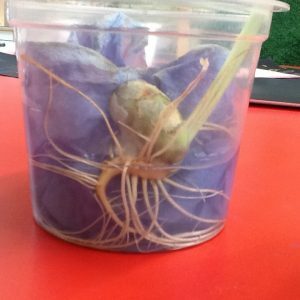 We can see the roots through the clear tub and talked about how the roots have drank the water and the beanstalk has started to grow! We are going to plant it in our garden this week!